Just like choosing your company name, selecting the right domain name for your business takes a lot of thought and consideration. It’s something that deserves hours, or for some ‒ even days of thought, mainly because a domain name has the power to make or break a business. That’s why, as a website owner, you must ensure that you get it right, before you do anything else, primarily if your site is used for commercial purposes. In its most basic form, a domain name is how your website will be known online. It’s your site’s unique address on the internet as long as you keep paying the annual fees that usually cost between $10 – $15. Users who know your domain can type it on the address bar of their browser and will be directed to your site. Others can discover you through search engines like Google or Bing. Extensions are found at the end of your web address and are simply suffixes such as .net or .com. Remember that these have specific uses, so choose carefully. Ideally, select the one that fits your business well. When choosing a domain extension, there are a lot of options to choose from. One of the most well-recognized Top Level Domain (TLD) is the .com TLD. Some other popular options are .org, .edu., .biz, and so on. While it’s tempting to go to for other domain extensions that are more creative, it’s always a good idea to stick with the .com. People are more familiar with the .com domains. Aside from that, there’s also a chance that others won’t remember if your domain extension is too weird. According to data, the .com TLD is used by approximately 47% of websites. What can go wrong? The .com domain name is by far the most popular, but it’s quite challenging to find a .com domain name that’s memorable enough because it’s been around for so long. .co: abbreviation that is used for companies, communities, and commerce. .info: sites that are mainly informational. .org: non-profit and non-commercial organizations. .biz: sites that are used for commercial and business such as e-commerce sites. .me: personal sites, resumes, and blogs. Be unique and authentic as possible. Don’t create a domain name that’s similar to your competitors. Instead, see to it that you do your research thoroughly and make sure that it isn’t the same (or even extremely close) to someone else’s. Try to think outside of the box ‒ there are millions of unique domain names out there, and finding one that is memorable and catchy isn’t hard. 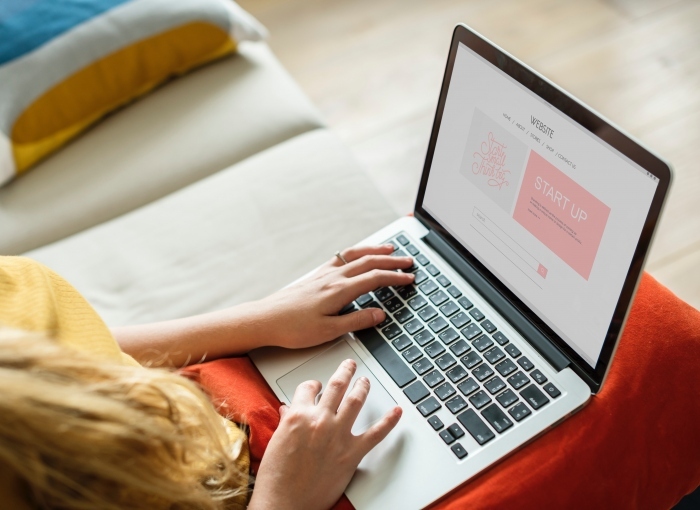 A memorable domain name is one of the most crucial aspects of your business strategy because it has an impact on how your site visitors will find and see your products and services. If you’re not entirely sure which one to go with, it’s always an excellent idea to share some of your domain name ideas to friends, family, and colleagues and ask for their feedback. Remember that it should make sense and be appealing to others. Another smart move is to select a domain name that’s directly related to your niche. That way, it gives users a better idea what your site is all about, and don’t try to limit your options too much. For example, a travel blogger might choose a domain name like solobackpackingasia.com but might want to start blogging about other countries outside Asia. If that’s the case, the particular domain name is preventing them from attracting other readers that are also passionate about other countries that are outside of Asia. Moreover, changing domain names can be a frustrating and painstaking process. You’ll lose search on search rankings and website traffic if you aren’t too careful. That’s why you should choose the right domain even from the very beginning. It’s worth it to do a little bit of research to ensure that the domain name you choose isn’t legally protected. Your competitors might have protected their domain name (and its variants) with copyright or a trademark. It’s also worth checking if you have similar domains with others. You need to build and protect your brand. If someone tries to look for your site but ends up on the page with the same domain name, you might tarnish your brand’s reputation or lose customers. There’s no doubt that choosing an excellent domain name for your site is essential. The right domain name will define your site and will communicate vital information both to human readers and search engine bots. Learning to choose the perfect domain for your site can be intimidating at first, but by following these points and tips, you won’t have to second-guess yourself anymore. Apply these reliable methods, to make the domain name that you choose is as effective as possible. Kenneth Sytian is the CEO of Sytian Productions, website hosting Philippines. He has been designing websites and developing web apps for more than a decade. He is considered one of the top influencers in web design and development in the Philippines.